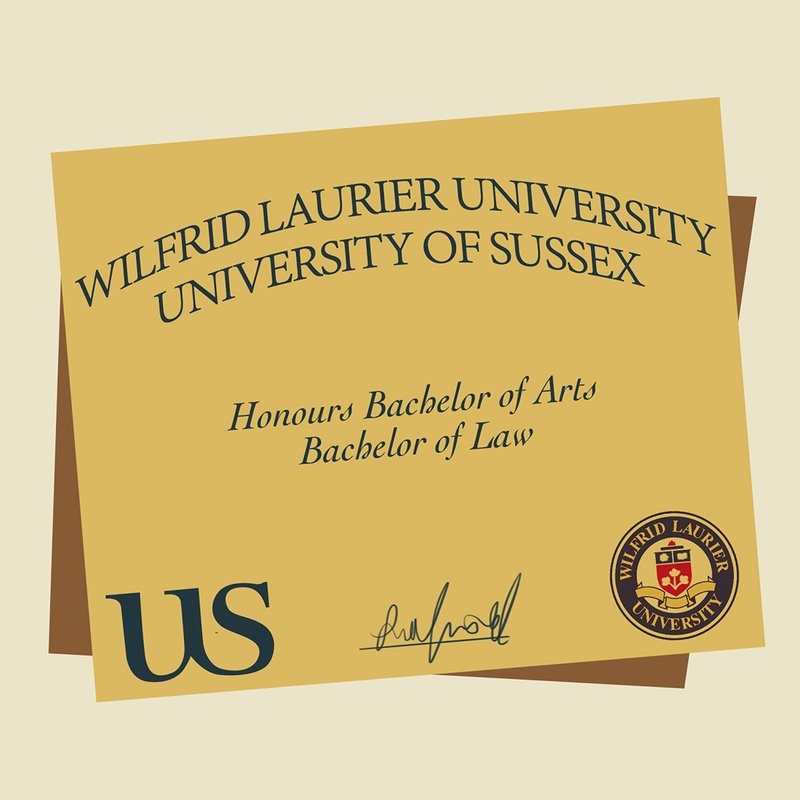 Wilfrid Laurier University has entered into a new partnership with the University of Sussex in the United Kingdom, allowing students to simultaneously complete a bachelor of arts degree and a law degree. The six-year degree would have students complete an initial two years in criminology, human rights and human diversity or law and society at Laurier’s Brantford campus, or political science in Waterloo. Participants would then head to England to complete their law degree over a three-year period before returning for a final year at Laurier. “We’re always looking ahead to see what opportunities we have for Laurier to partner with other institutions in order to give our students opportunities they otherwise don’t have,” said Deborah MacLatchy, vice-president of academic and provost. 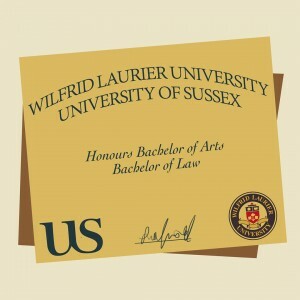 In addition to reducing a student’s degree by a full year, the partnership would guarantee students who met the admission requirements and maintained their academic averages admission into law school at the University of Sussex, without the need to complete the LSAT’s mandated by North American institutions and Law School Admission Council. The other advantage to the combined degrees is the ability for students to study abroad in the U.K. and tailor their degree to their chosen career path. “One needs to choose their law school in part by the value added that they get at that particular location,” said Heidi Northwood, dean of the faculty of liberal arts. The program would require that students work closely with academic advising throughout their time at Laurier to ensure they complete all necessary courses for their Canadian BA. “We haven’t completely developed that final year, but it will be a combination of the course material that they will need for their exam preparation, and also any final things that they need to finish up the BA’s that they’re in,” said MacLatchy. An equivalency exam through the Canadian Federation of Law and Society will be required for students to practice law in Canada, though the content learnt in the UK is largely transferable between nations. The school has begun advertising the partnership to perspective students with the first cohort planned to arrive in September 2016 and leave for the University of Sussex two years later. The school is however communicating with students currently enrolled in one of the four partnered BA’s to verify if there is interest enough to warrant extending the partnership to them.